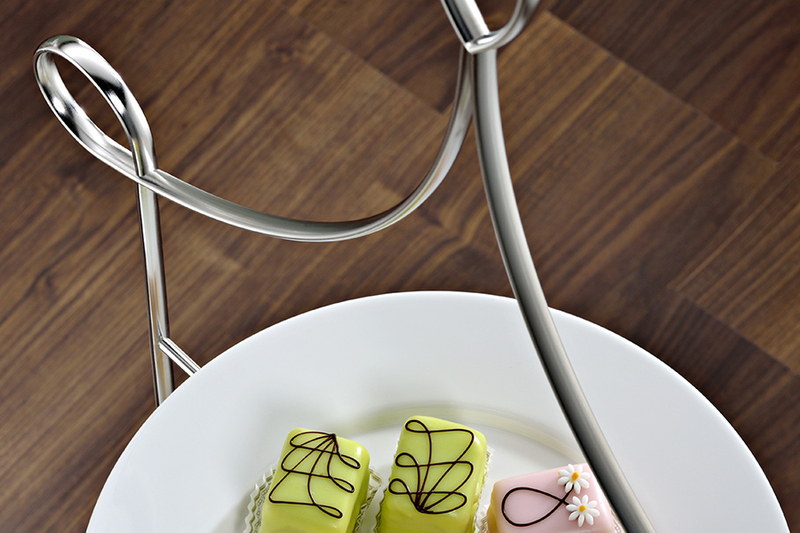 The Hepp Floor Standing Afternoon Tea Service, delivering on the Great British tradition of afternoon tea. Long since become an international phenomenon, in recent times, it has signified the exit from austerity. 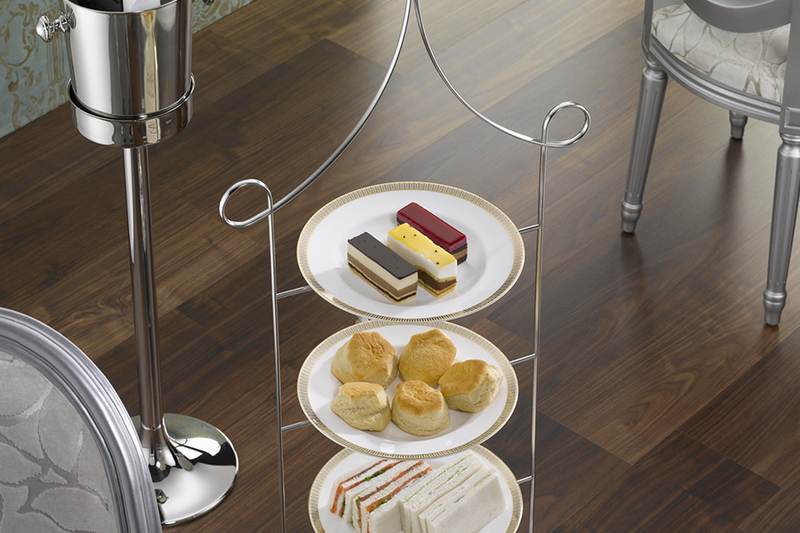 Now with waiting lists for afternoon tea in quality establishments throughout the country and space at a premium in hotel reception areas and lounge bars, the Hepp floor standing collection comes into its own. 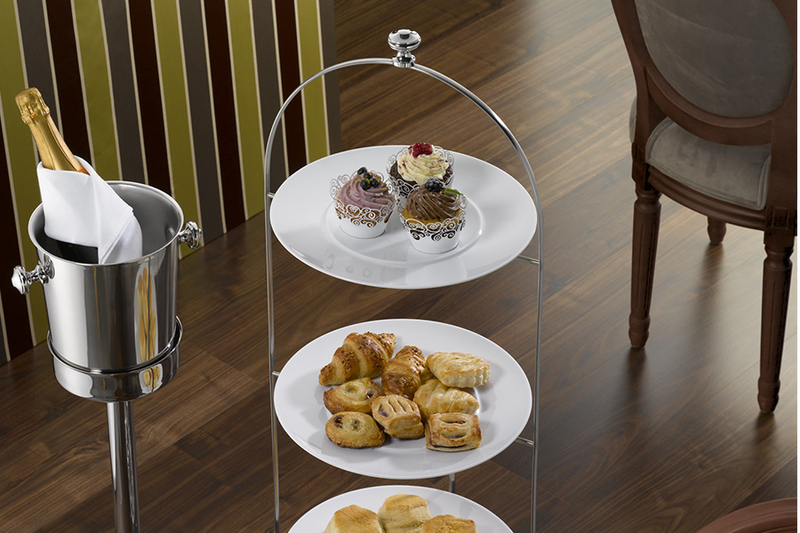 The brand new floor levelled afternoon tea stands are made of high quality stainless steel, offering the perfect frame to the best afternoon tea selection. 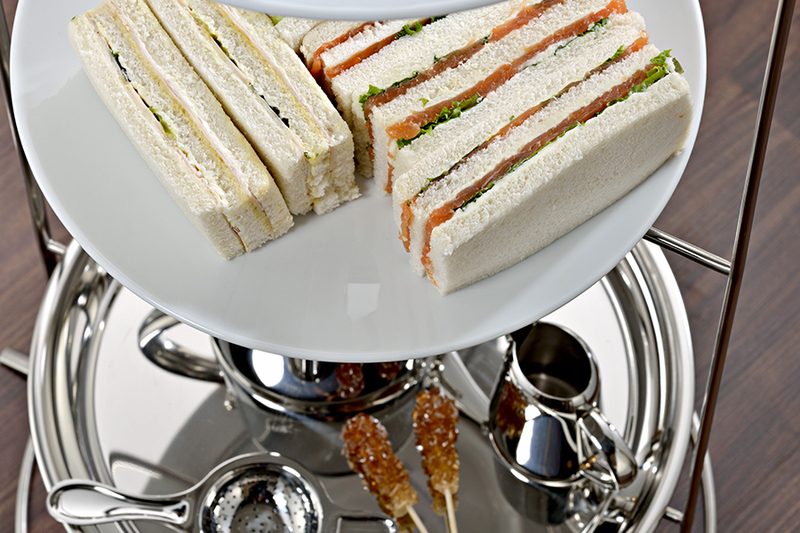 Distributed across an overall height between 117 and 125 centimetres depending on the version, there is space for the tea service and sandwiches, heated scones with clotted cream, fruity preserves and other culinary delights. 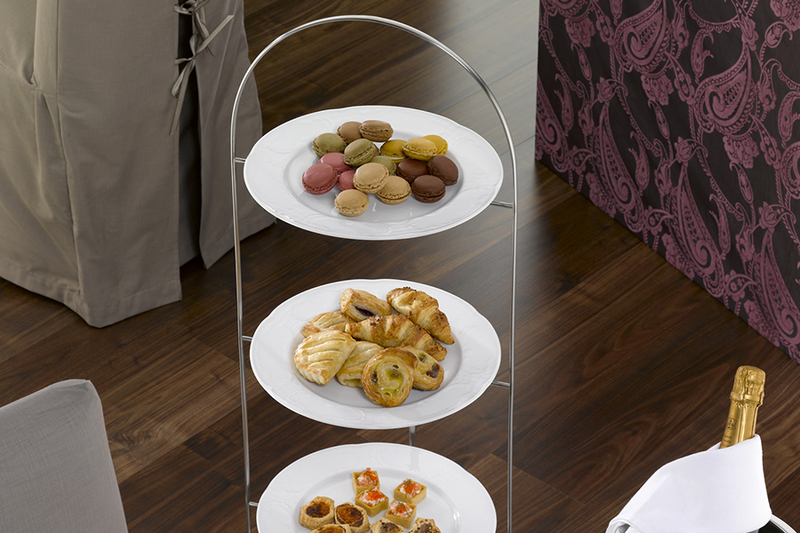 The tasty nibbles are crowned either by a classical softly curving arc with or without stylish knob or a filigree, jaunty arrowhead – always a gleaming eye-catcher alongside any table. 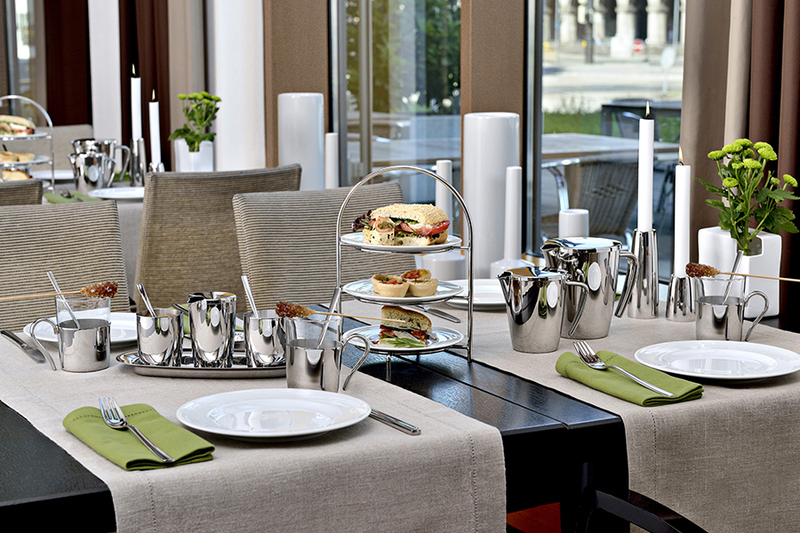 A tea ceremony with an added touch of exclusivity. 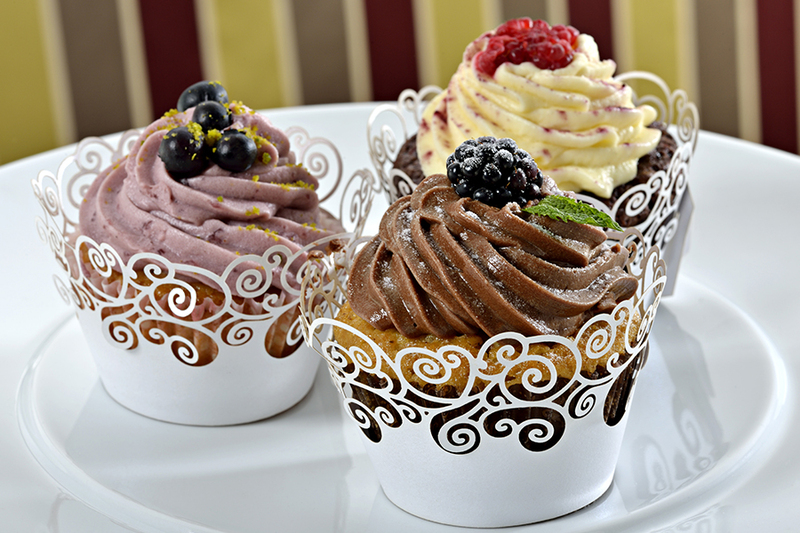 at the top pastries or pralines. Each of these three levels measures around 21 centimetres in diameter.